We've made selecting a mobile DJ easy. Your service was fast and simple - thanks a lot I've found a DJ for my party. AMPdj and AMPuk are trading names of AMPuk Members Ltd (Company Number NI611966) Registered in the UK at: AMP House, 50 Moneyduff Road, Cloughmills, BT44 9NY. The Easy Way to Contact Local DJs - Fast! 3 - Tell us some details about your party. This site will put you directly in touch with mobile DJs and mobile discos in your area with just one click. Party DJ Disco in association with the Alliance of Mobile & Party DJs [AMPdj] makes it easy to find the ideal mobile disco for your event - and it's really quick too! 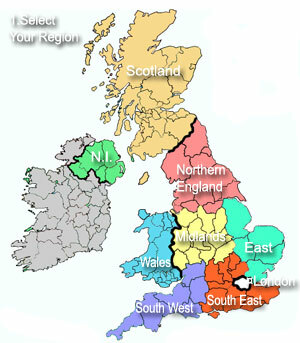 So to start your enquiry simply click the map (top right) or go to the larger maps here. This is a free to use service and you are not under any obligation to book. Party DJ Disco is designed to save you lots of time searching for your ideal mobile DJ - with 1,000s of DJs across the country, we do the hard work so you don't have to. I stumbled across your service by chance and was very impressed! Within 2 minutes i had a phone call and over the next few hours several emails. I shall definately recommend your service to friends and family in the future. All quotes are provided free of charge and you are not under any obligation to choose any particular DJ. Should you wish to book one of our members you will deal directly with them. We do not charge a commission for this service - it's free to use! We hope you'll find our service really useful and have a great function! Thanks for the professionalism of the responses generated by our request. We have booked one of your registered DJs and will no doubt be more than satisfied with our eventual choice. 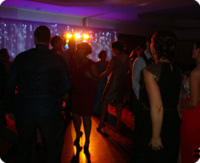 We have successfully helped 1,000s of people find a disco for their next local event. We have thousands of local DJs and at least one just right for you. Find the perfect DJ for your function right here with NO obligation to book.